The International Monetary Fund (IMF) has predicted that Nigerian economy will grow from 0.8 per cent in 2017 to 2.1 per cent by the end 2018, while warning of possible crash in crude oil prices. According to its latest World Economic Outlook (WEO) Report launched in Washington DC on Tuesday, the Fund projected that Nigeria will also grow by 1.9 per cent in 2019. 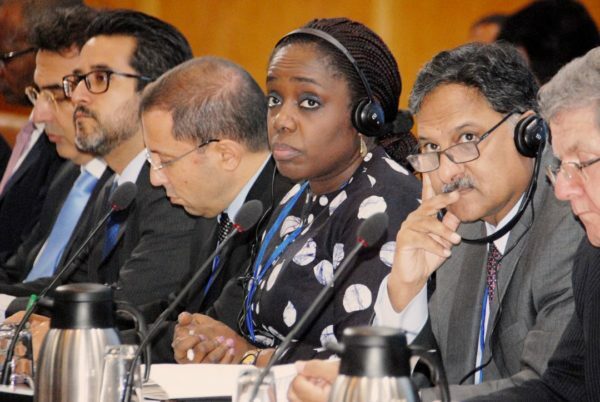 The IMF, however, advised oil-dependent economies, including Nigeria, to intensify economic diversification as the global body foresees the crash of crude oil prices in the near future. “Some low-income countries like Mozambique and Nigeria have experienced financial stress or deteriorating loan quality in recent years as growth has moderated and corporate balance sheets have weakened. “Further deterioration in loan quality would impair credit intermediation and ability of the banking sector to support growth, which would raise the risk of cost recapitalisation and severely burden the already strained public finances,’’ the IMF said. The IMF Director of Research, Mr Maurice Obstfeld at the WEO press conference, said that global economy would grow by 3.9 per cent in 2018. Obstfeld said the forecast was borne out of the continued strong performance in the Euro area, Japan, China and the United States. “Despite the good near-term news, longer-term prospects are more sobering. Advanced economies are far facing aging population, falling rates of labour force and low productivity growth. “Emerging and developing economies present a diverse picture. Many of these countries need to diversify their economies to boost future growth and resilience,’’ he said. According to Obstfeld, global financial conditions remained loose, despite the approach of higher monetary policy interest rates and enabling a further buildup of asset-market vulnerabilities. He said that the recent escalating tension over trade (United States vs China) presented a growing risk for global financial stability. “The prospect of trade restrictions and counter-restrictions threatens to undermine confidence and derail global growth prematurely. “While some governments are pursuing substantial economic reforms, trade disputes risk diverting others from the constructive steps they would need to take now to improve and secure growth prospects,’’ he said. The IMF encouraged each national government to advance growth by resolving issues of climate change, infectious diseases, cyber-security, corporate taxation and corruption, among others.